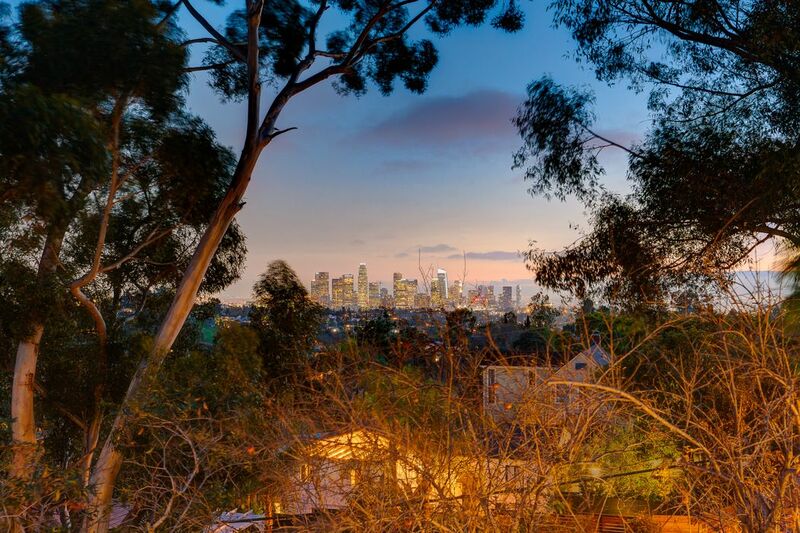 1831 Cerro Gordo Street, Los Angeles, CA 90026 | Sotheby's International Realty, Inc. 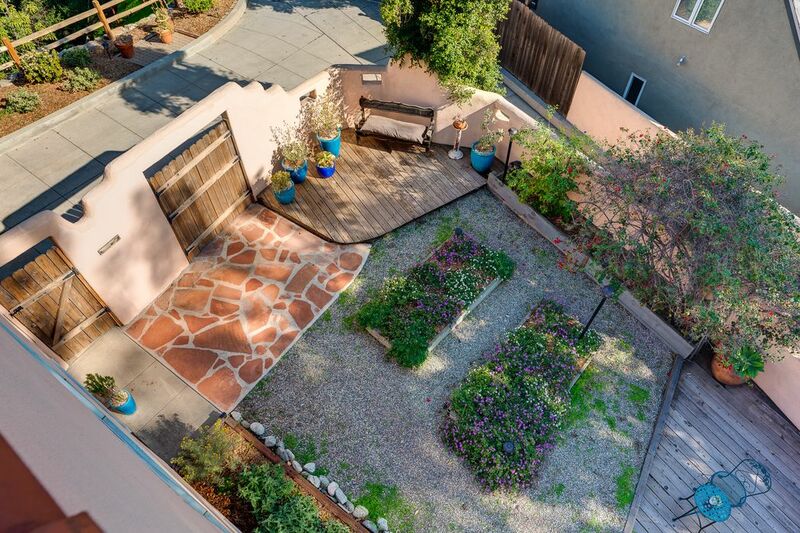 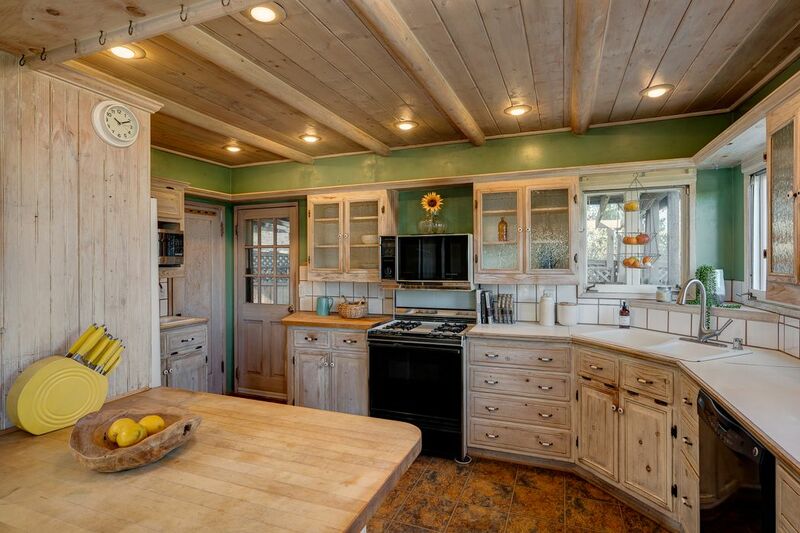 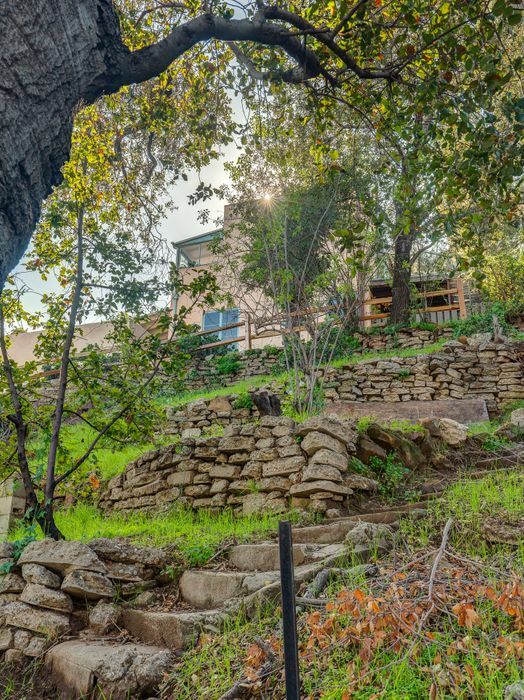 If you are in search of some peace & privacy, this hilltop home has it in aces. 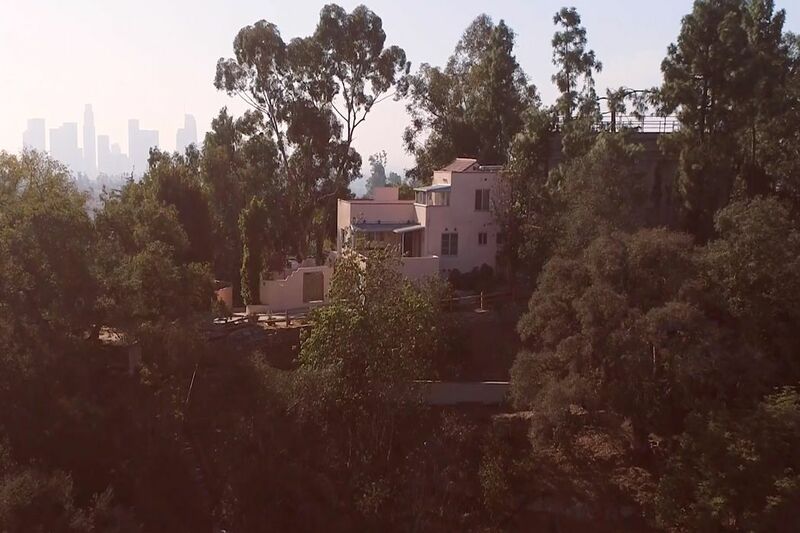 Situated on over half an acre and hidden in the hills just 15 mins from DTLA, this 3 story Spanish-style home is one of Elysian Heights’s last remaining great estates. 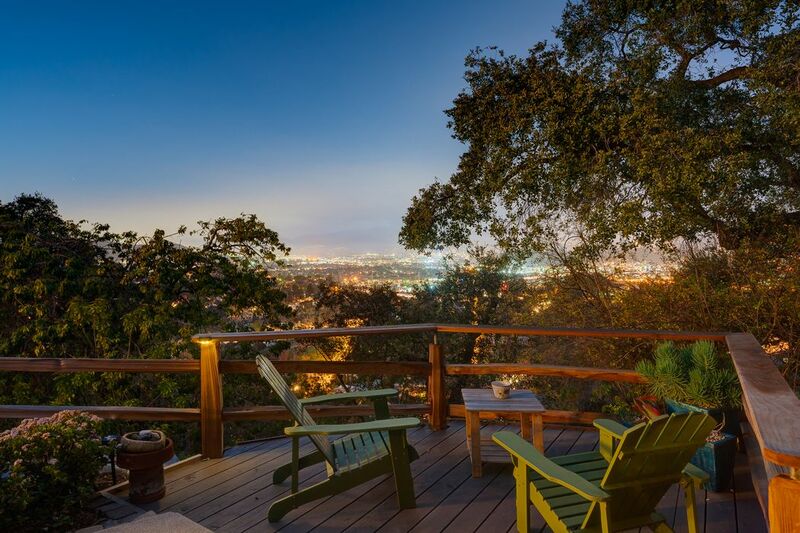 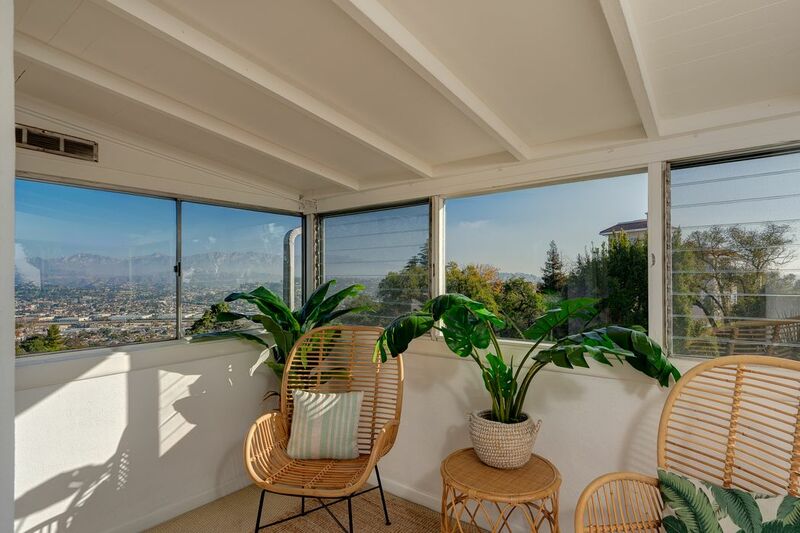 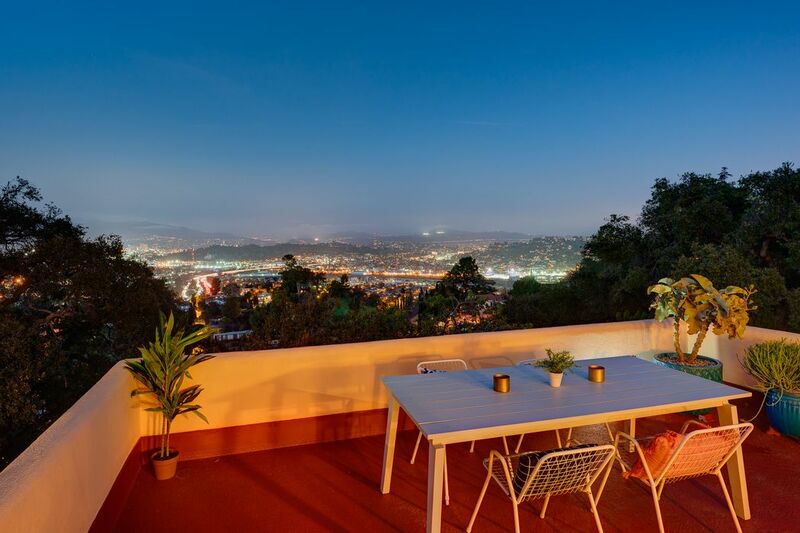 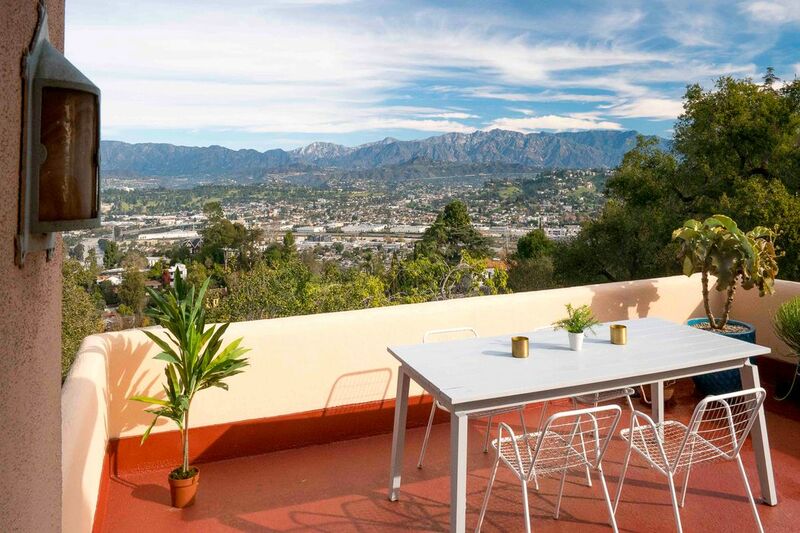 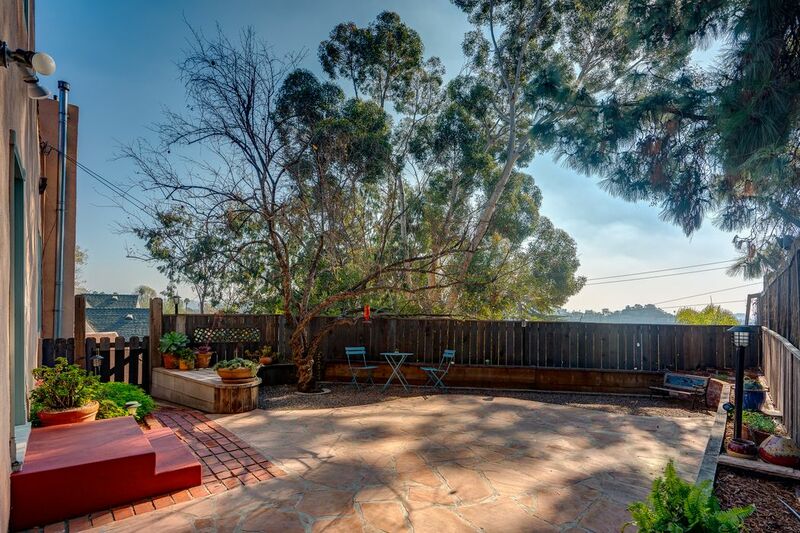 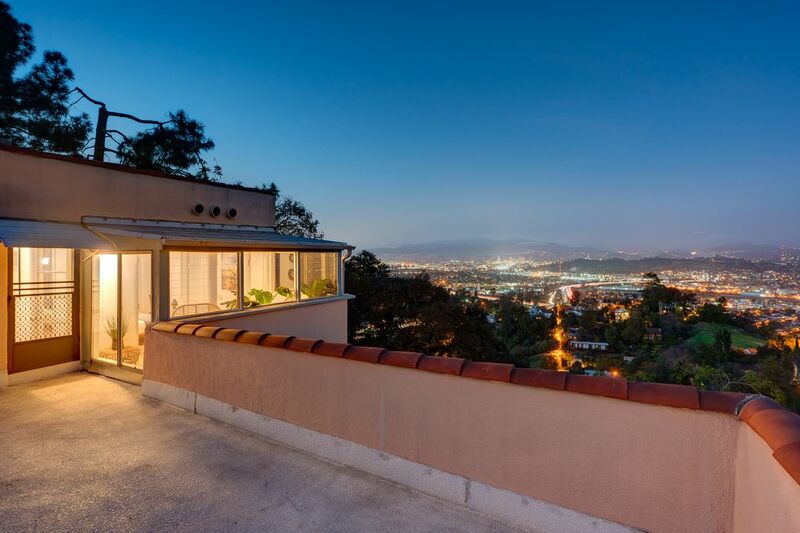 At 773 feet above sea level, this property sits atop one of the highest sites in Echo Park and offers you uninterrupted views from the San Gabriel mountains to Downtown Los Angeles all the way to Catalina Island. 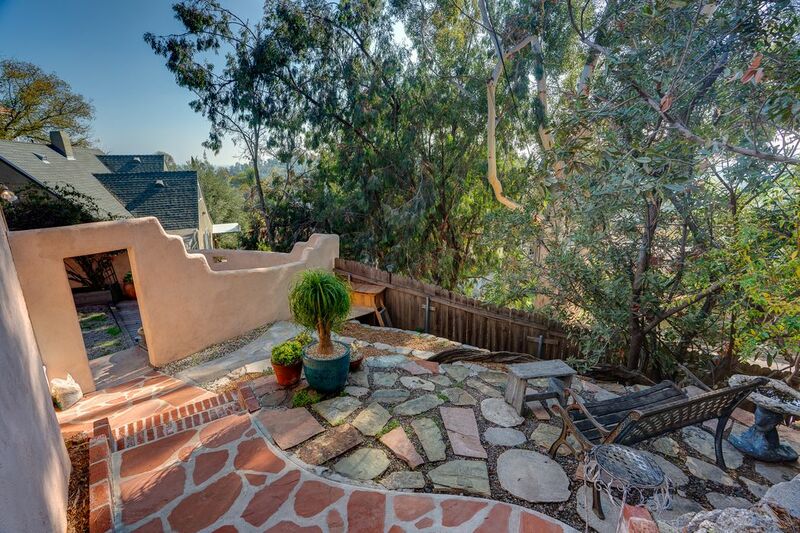 Unseen from the street, it is located up a long 130 foot driveway and with just one neighbor on one side. 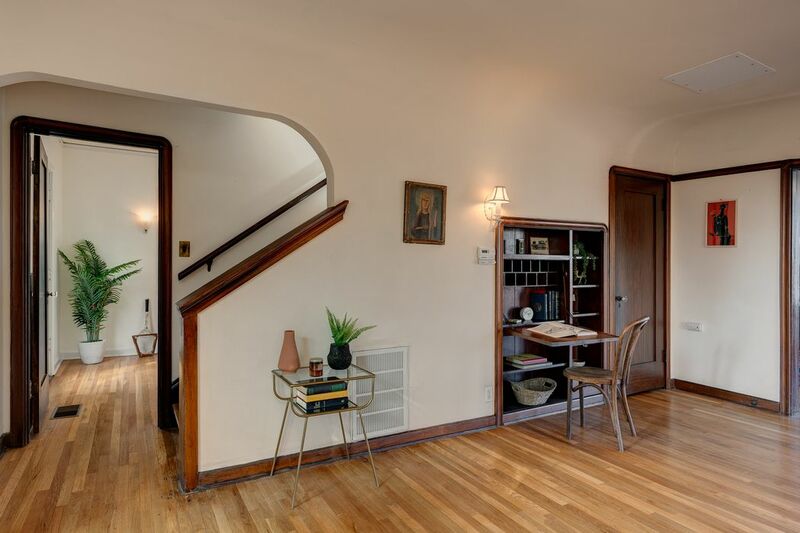 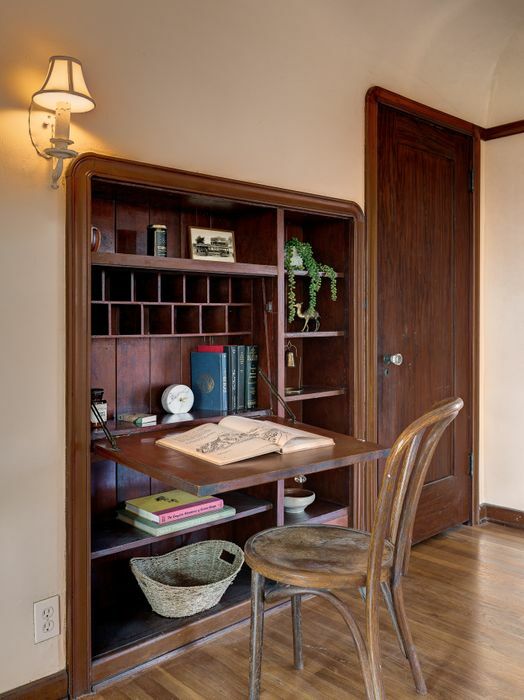 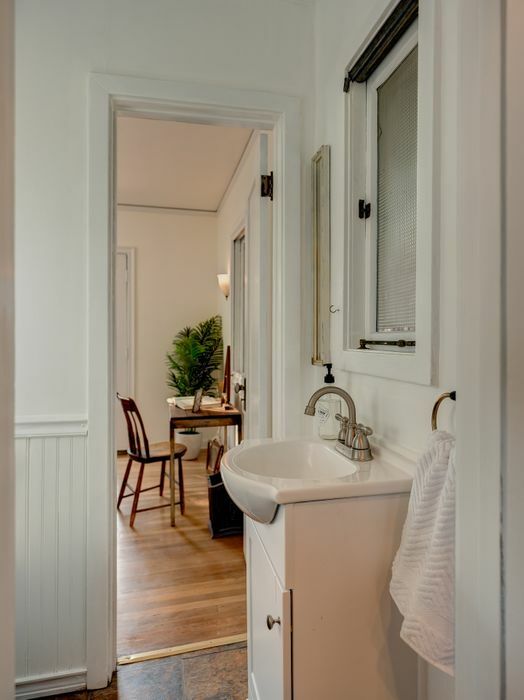 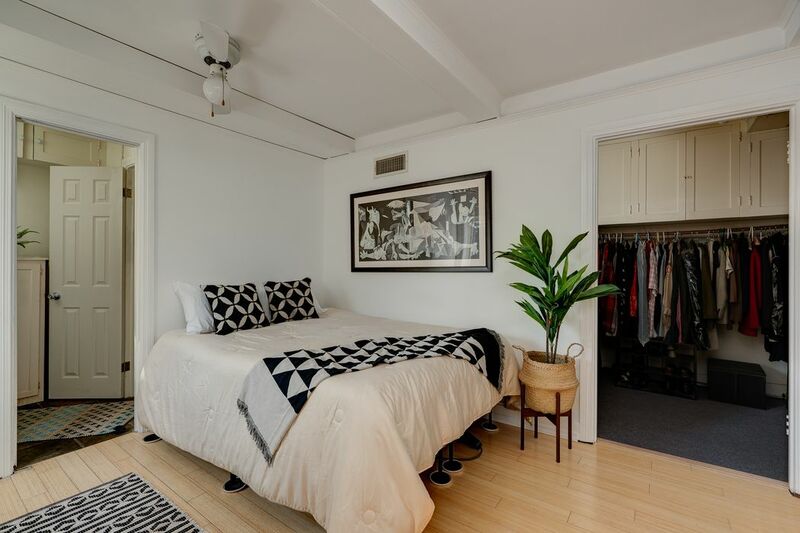 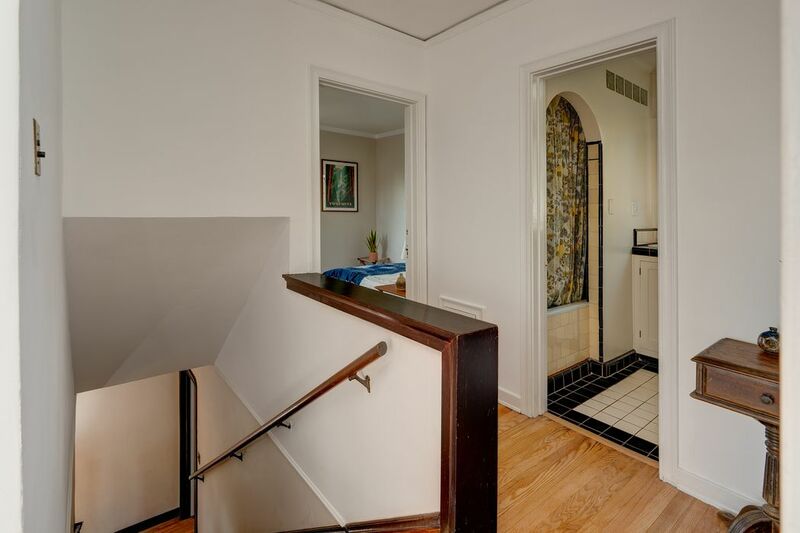 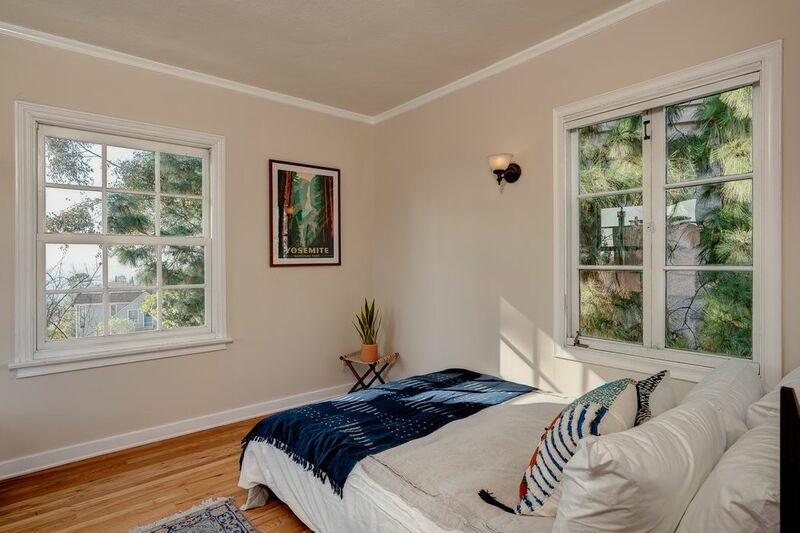 Inside the 3bd / 1.5 bath 1920 home, you’ll find a bright & breezy living room with a Batchelder fireplace, original hardwood floors, gorgeous dark wood built-ins, and casement windows. 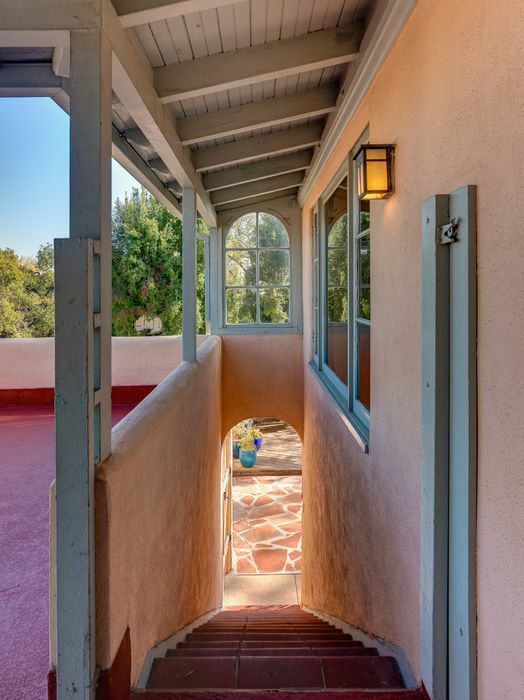 The master has stunning views of the canyon and city below and its own sun room. 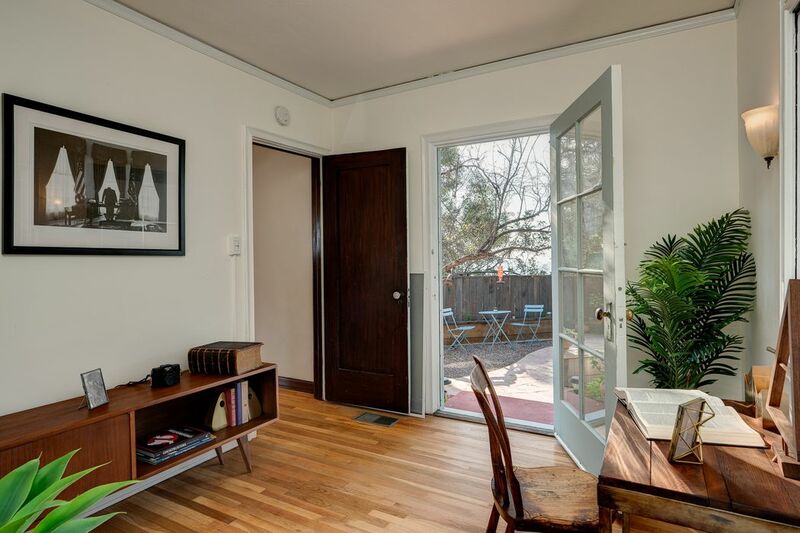 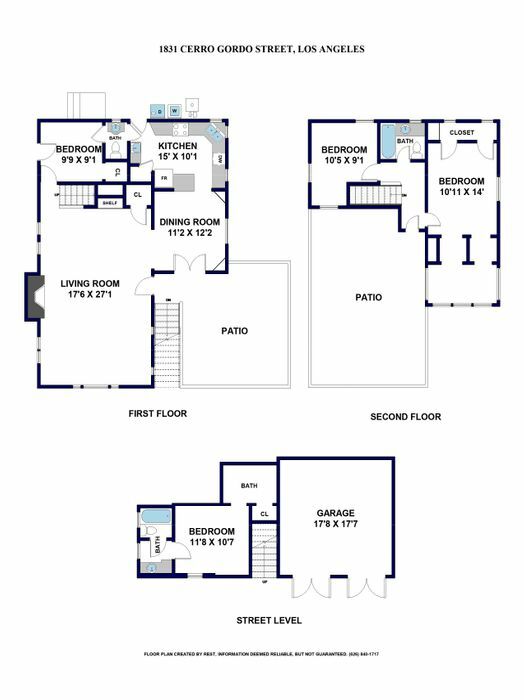 The separate apartment on the first floor offers income potential or a great guest quarters. 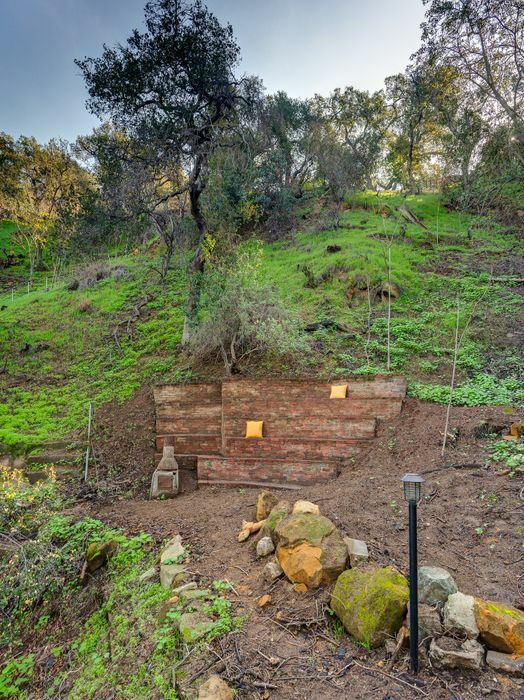 Outside, venture down the meandering paths in what feels like your own private park to a stone amphitheater that was once used by the Sierra Club to put on plays & lectures. 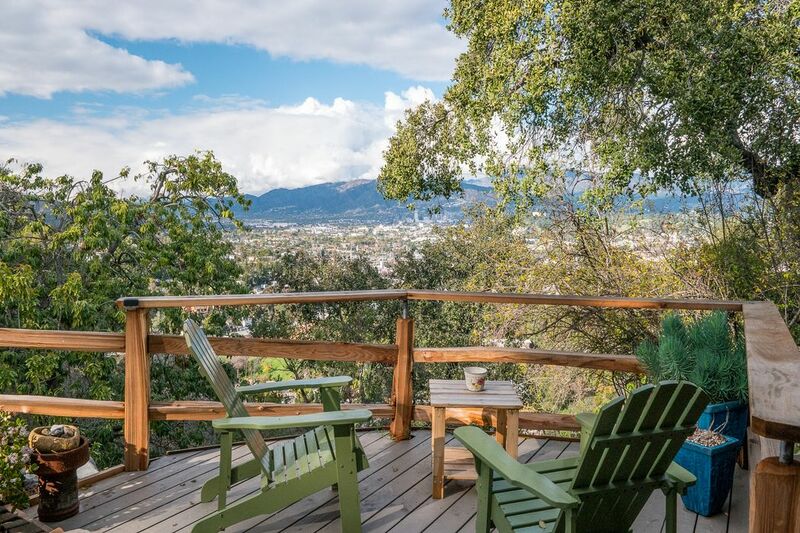 Multiple patios, deck space, and entertaining areas, plus mature lemon, lime, avocado, zapote, pomegranate, and oak trees make this the ultimate private sanctuary, a Taos-esque retreat in a lush, larger-than-life hillside setting. 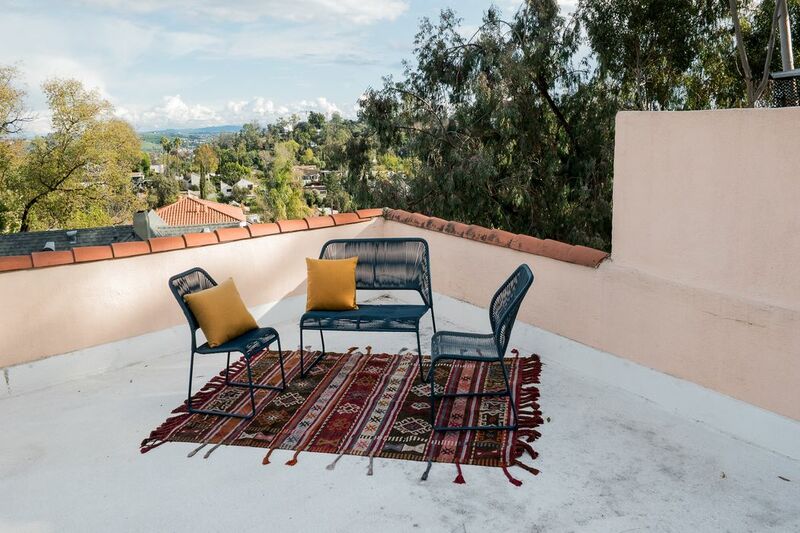 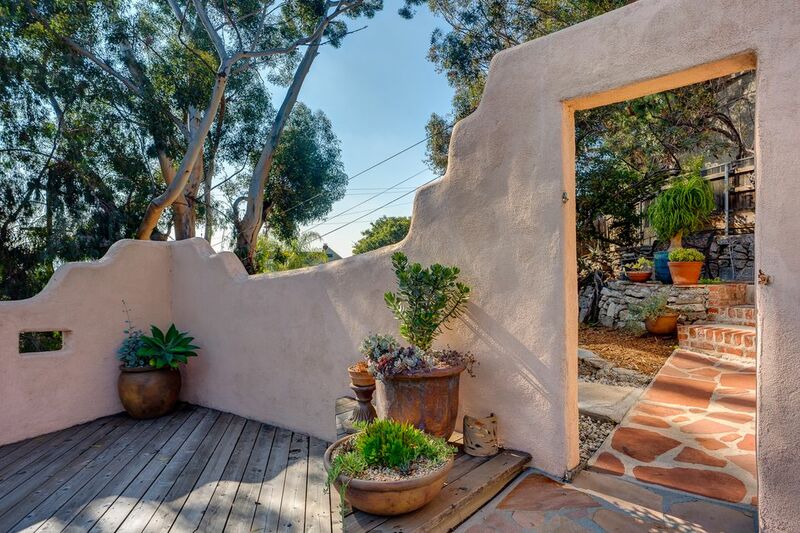 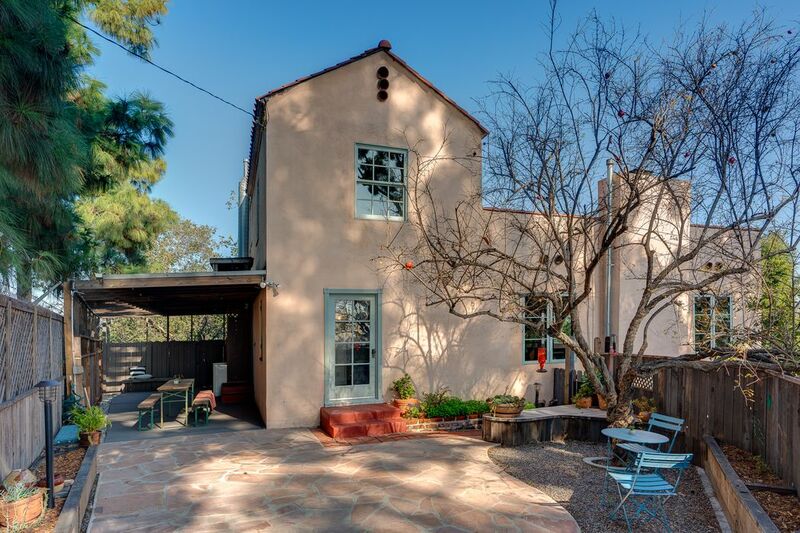 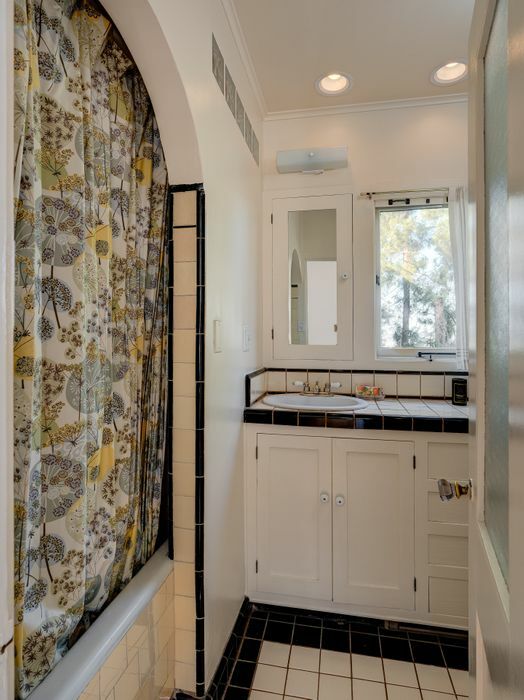 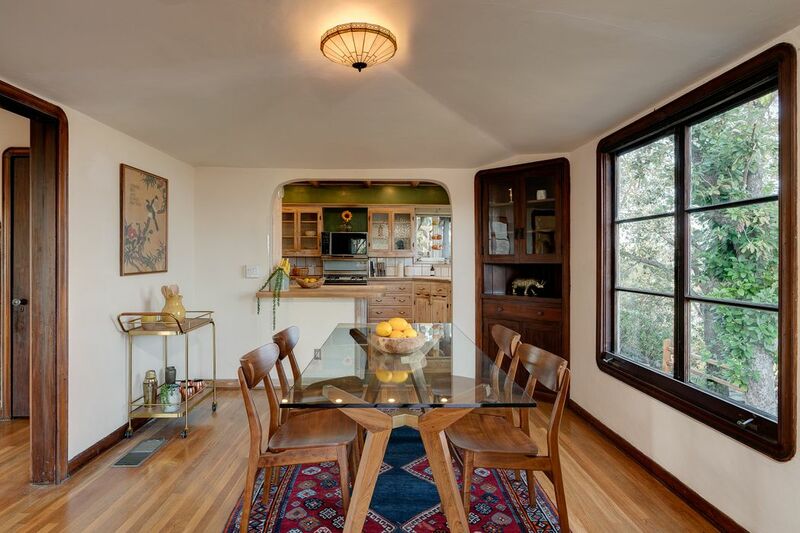 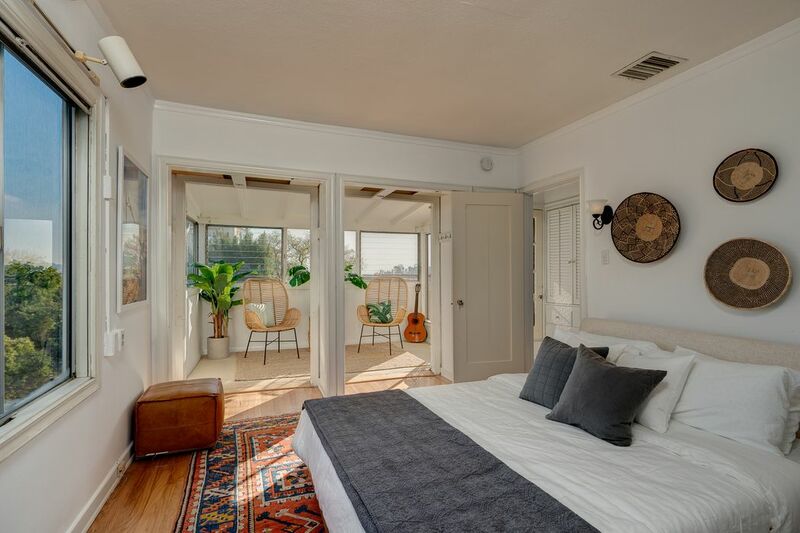 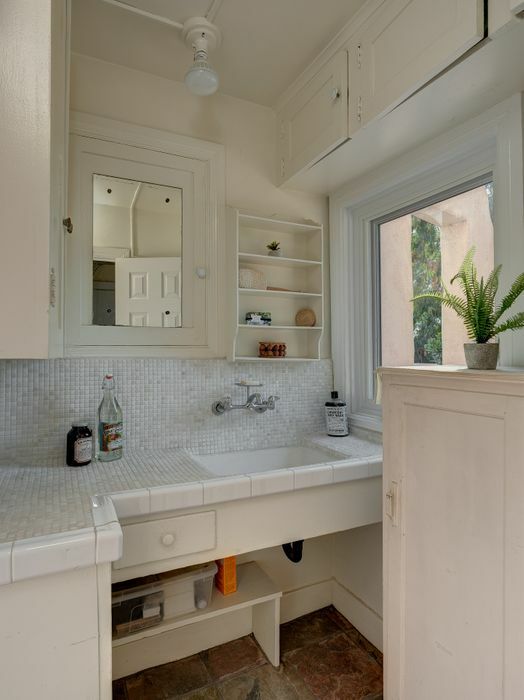 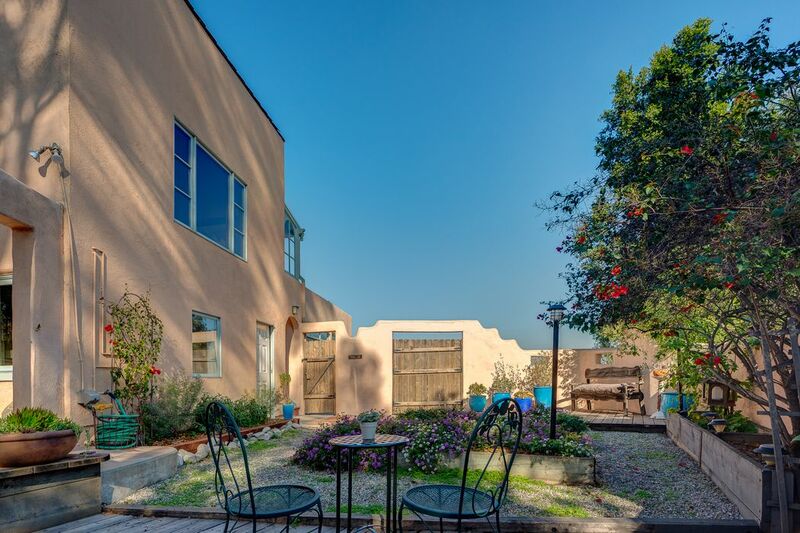 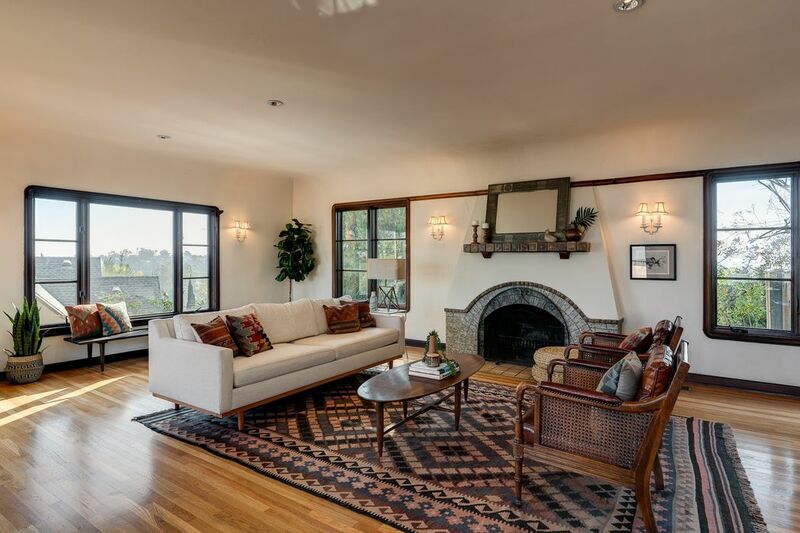 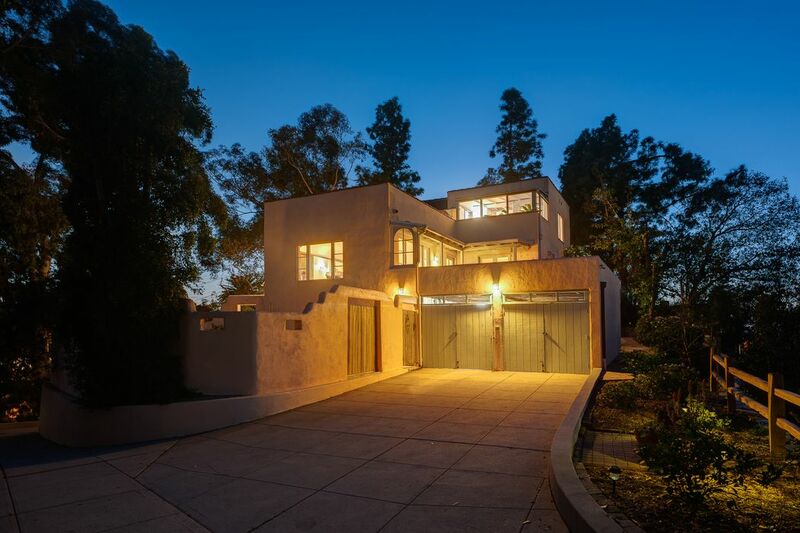 Curbed Los Angeles, "1920s Hilltop Spanish-Style in Elysian Heights Seeks $1.7M"